Designed by iM3 for easier extraction of cat, small dog and deciduous teeth. 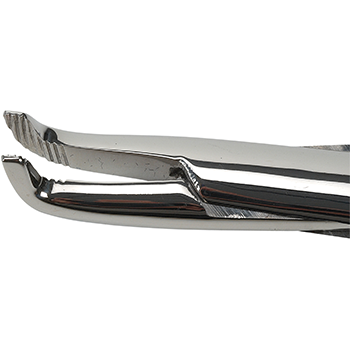 Parallel right angle jaws reduce the risk of tooth fracture during extraction. By not meeting at the end, they reduce the risk of breaking off small teeth. Small spring loaded handles provide a more tactile feel. 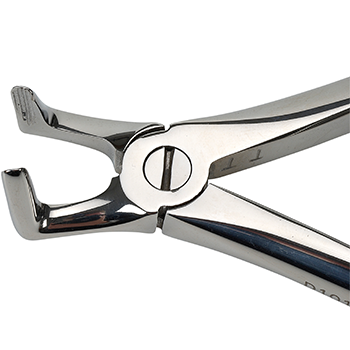 Spring loaded root tip extractions forceps have grooved tips with fine curved ends ideal for root extraction or as an alternative to regular extraction forceps (D1012) as the small jaws are suitable for small teeth. 6” / 150mm.